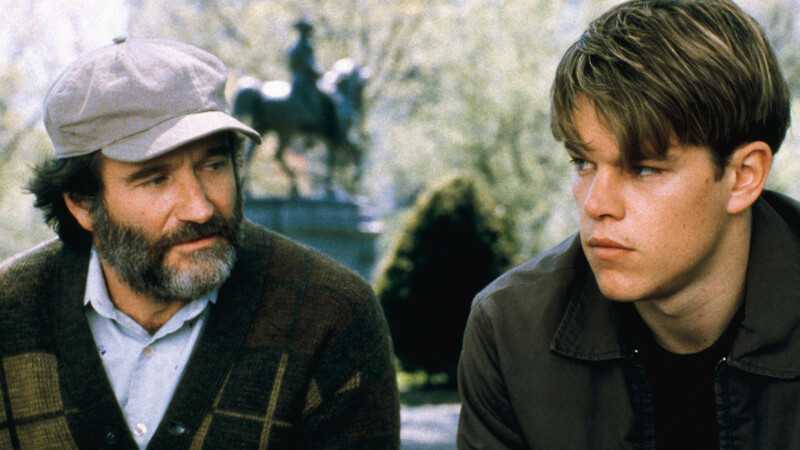 It’s dumbfounding that a movie that contains as much life wisdom as Good Will Hunting was written by Matt Damon and Ben Affleck when they were in their early to mid twenties. One of the best Oscar acceptances ever is when they got Best Original Screenplay (giving us a break from the Titanic coronation of the night, ugh) and just went wild with joy. There are a few scenes in this movie that mean a lot to me. I think the funniest scene is Will’s response to the NSA when they try to recruit him. I think any scene between Damon and Robin Williams is electric. Williams deserved his Oscar for this role and I wish he hadn’t stopped dramatic acting for the most part after he’d gotten it. He’s so much better than what he’s been doing. The scene that resonates with me most these days is the park bench. If you haven’t seen the film (seriously?) you don’t need a lot of context. Will has been court appointed to do therapy with Robin Williams and Will is a genius off-the-charts. At their first session he saw a painting in Williams’ office and proceeded to tell him his whole life story from what he deduced from that. This is the “Come to Jesus” talk he gets from Williams in response. It’s wise and as I get older, the more and more I see how true it is.